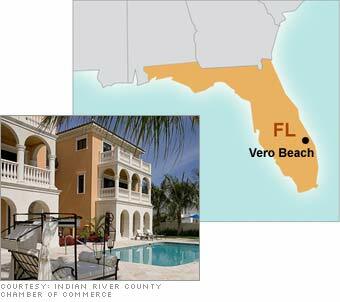 "Vero Beach is at high risk in the short term but will move up in the long term," Cochrane says. Here's why: A Florida Atlantic University study says Indian River County and its two closest neighbors will need a projected 154,000 new homes during the next 25 years to house the growing population and replace old structures. A Manpower Employment Outlook Survey predicts growth in construction, manufacturing, and retail jobs too. Per capita income growth closely shadowed that of Martin County, Florida's second-wealthiest, and is gaining on that of Palm Beach County, the state's richest.